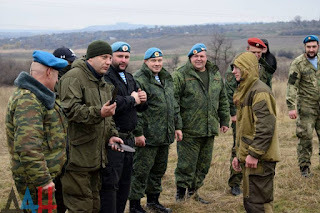 Zakharchenko: "I am proud of our servicemen"
The Head of the Republic visited the military training ground, where servicemen of the Vityaz Special Purpose Unit of the DPR Ministry of Transport passed a fit test for the right to wear a blue beret on November 9. 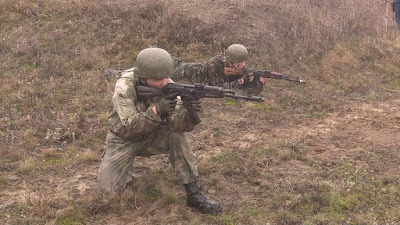 The event was timed to the second anniversary of the unit. 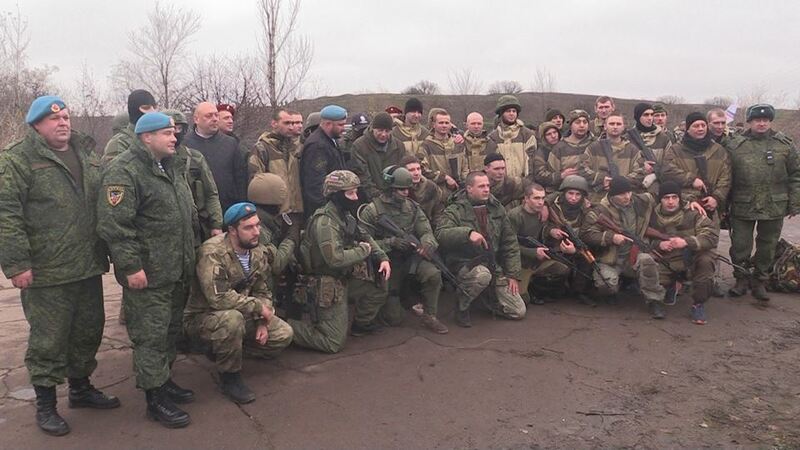 Vityazi (‘The Knights’) became the first to undergo such a test in the DPR. 28 ‘knights’ passed the ‘exam’ for courage, strength, and endurance. 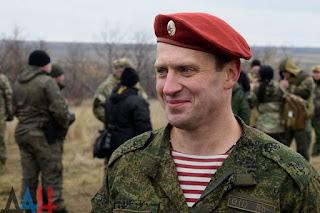 Parachute jumping became the first stage on the way to get the cherished vest and beret. 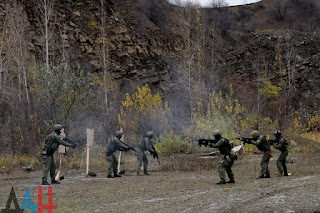 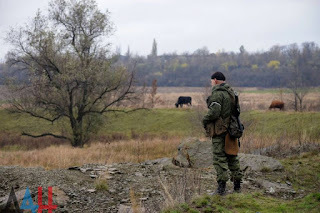 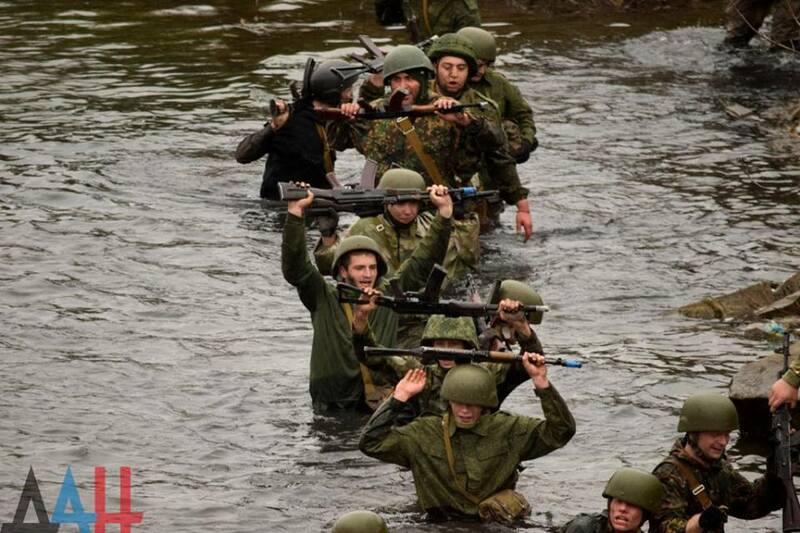 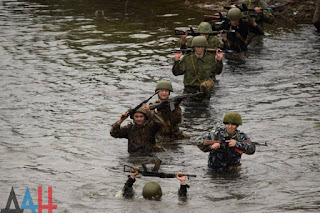 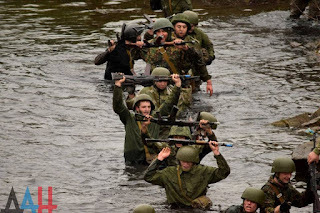 The servicemen had to make 15 kilometres in the tough terrain, overcome a water obstacle, hit the targets, throw a well-aimed grenade and defeat the opponent in hand-to-hand combat. 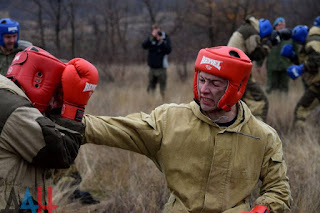 Alexander Zakharchenko wished all the participants good luck before passing fit testing. 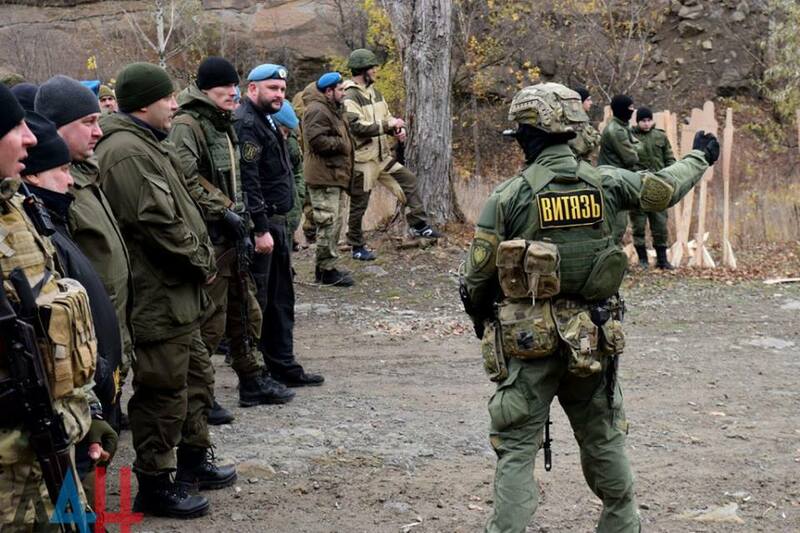 "This is the first fit test in the Republic for the right to wear blue berets. The commander of this unit, Roman Kornienko, is a paratrooper, he had served in the Airborne, so his servicemen prepared for the most rigorous exam in their lives. 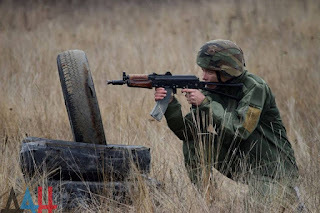 To wear a blue beret is an honour for any paratrooper. I am sure that those guys who will receive the beret will wear it with pride. 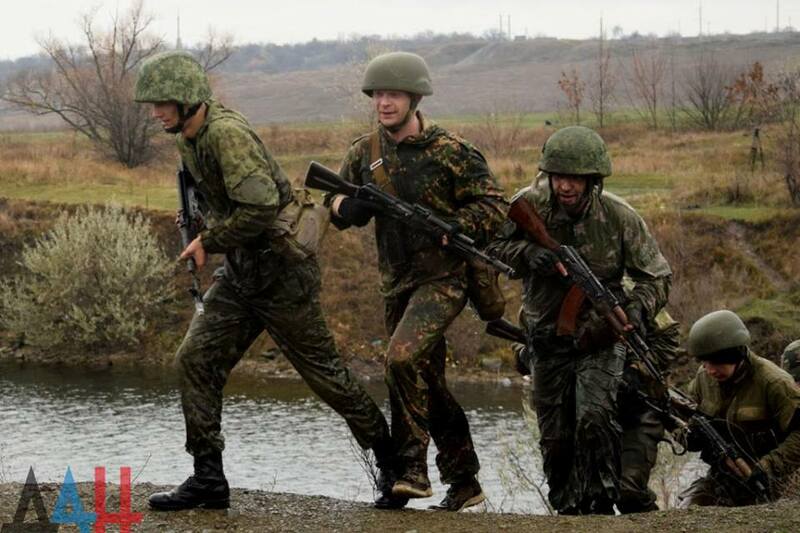 As Commander-in-Chief, I feel proud of our army when I see what these fellows overcome. Recollecting 2014 and looking at the fighters in 2017, I understand that our self-defense units have turned into a real army in these three years. 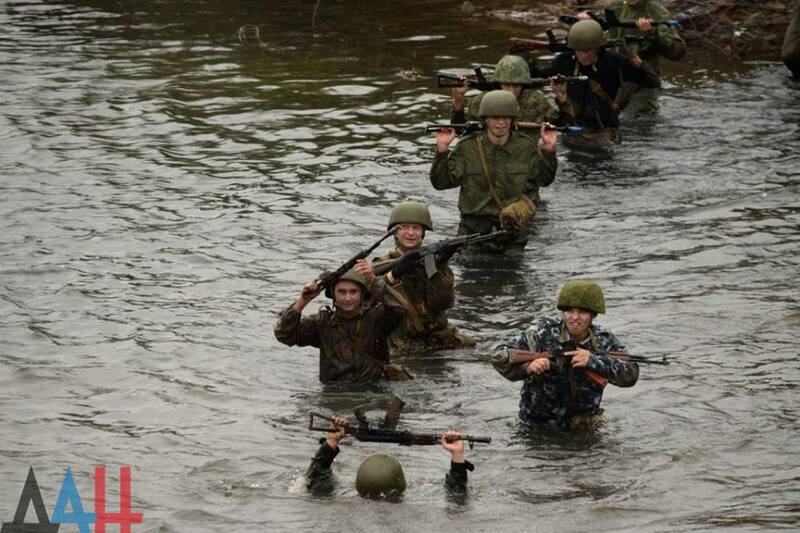 I feel sure that we will defeat any enemy if we want to. 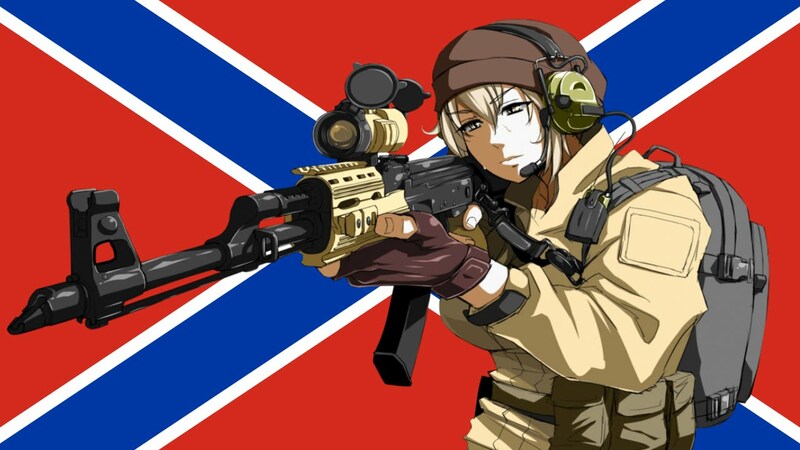 We will cheer for the fellows. According to statistics, about 40% of servicemen fail to pass the fit test. This is due to various reasons, the most difficult point is to get psychologically tuned when the attention of commanders and inspectors is focused on you. 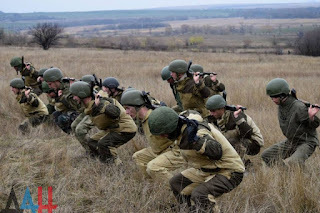 This is another element of preparation: any serviceman, being in a stressful situation, should behave with dignity and show the best results. After all, the life of comrades and victory depend on it in battle. 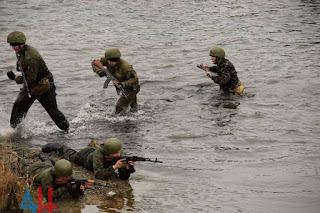 I wish good luck to all the servicemen," the Head of State said. 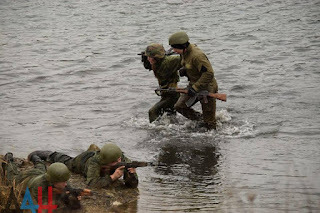 In the pouring rain, despite the cold and the close evaluating attention of the team-mates, the fellows were able to overcome all the obstacles and prove they are the best, worthy of calling themselves airborne troops and followers of Margelov. 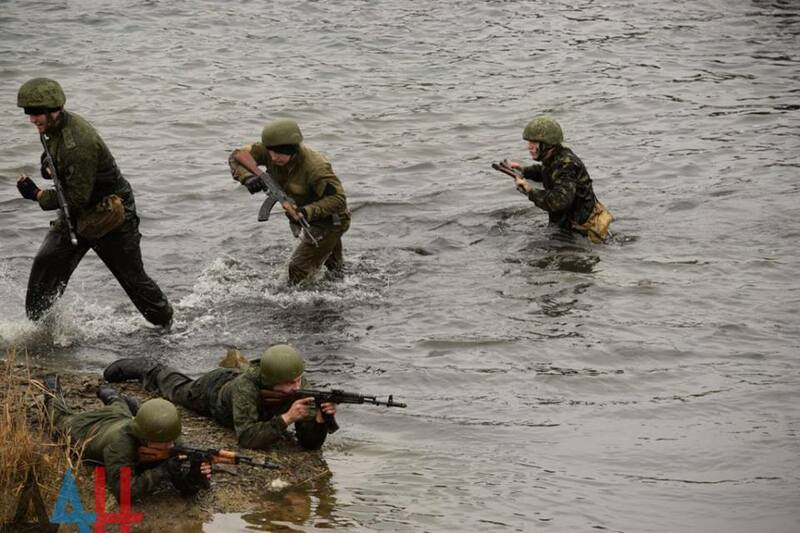 One of the servicemen was not afraid of the water obstacle even though he could not swim. 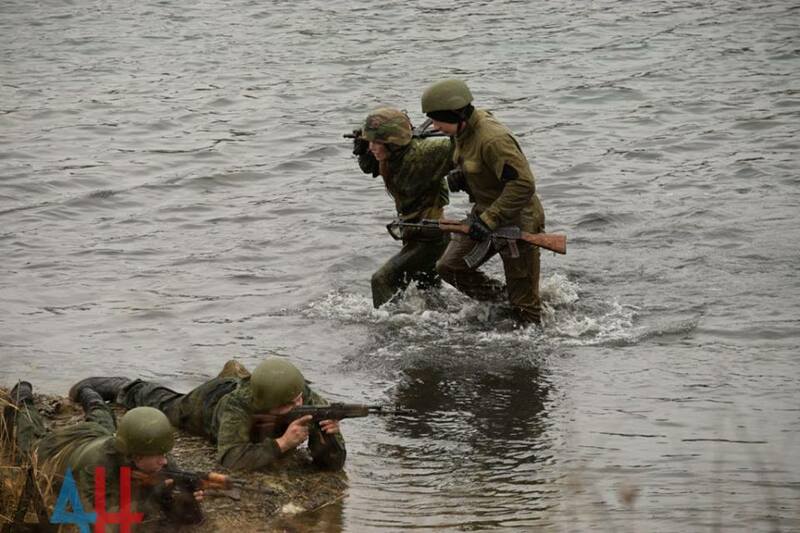 When the he failed to walk across the water and began to sank beneath, the paratroopers’ spirit worked – never to leave people behind. 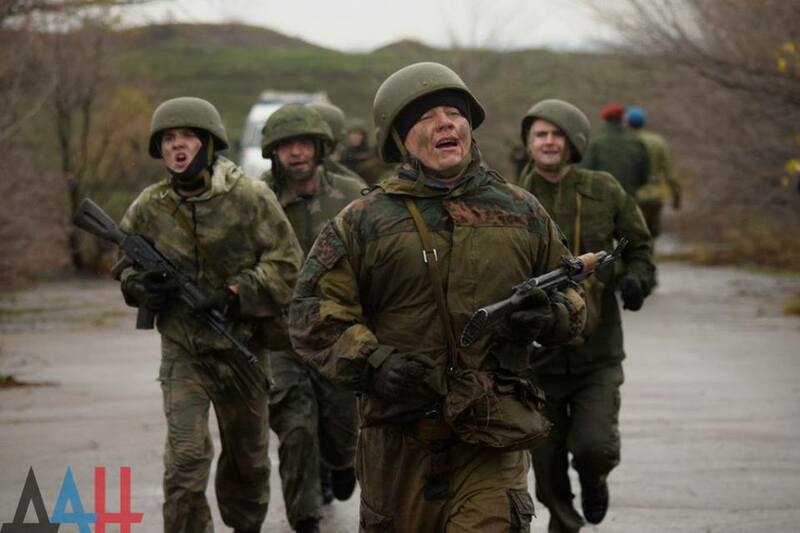 Though the servicemen reached the finish line at least out of breath, but together, supporting each other. 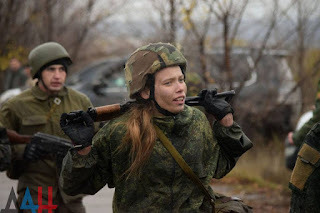 A fragile girl-soldier Natalia Zakharova successfully passed the entire fit test together with the ‘knights.’ For courage and dedication, Alexander Zakharchenko handed over award weapons to the representative of the best half of the Republic who is so far the only girl having the right to wear a blue beret. 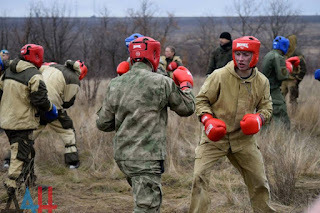 The Head of state awarded knives to the servicemen, who showed themselves best in hand-to-hand combat. 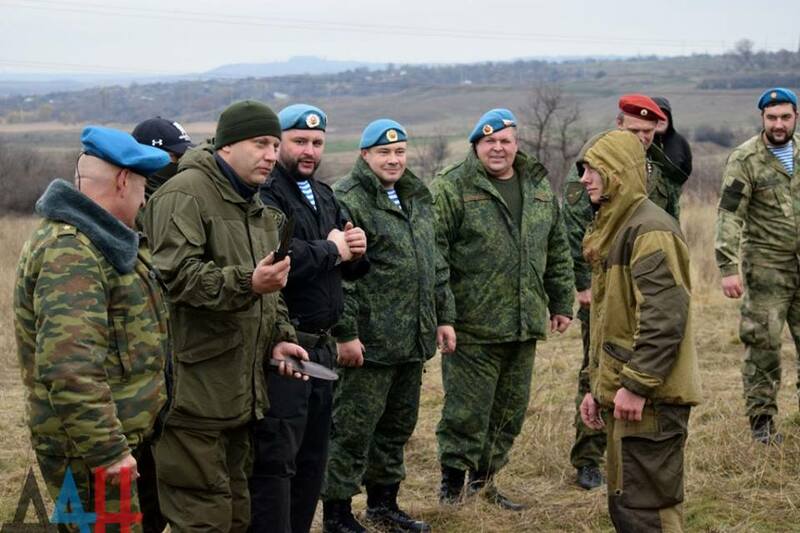 Assessing all the results of the final exercise and other tests, Airborne officers will decide who has deserved this time the right to wear a blue beret. 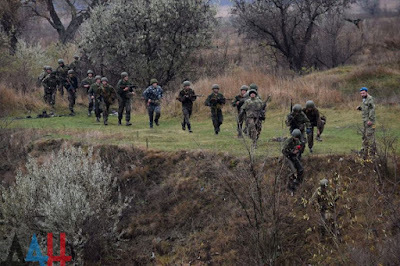 The ‘knights’ will be awarded in their location. 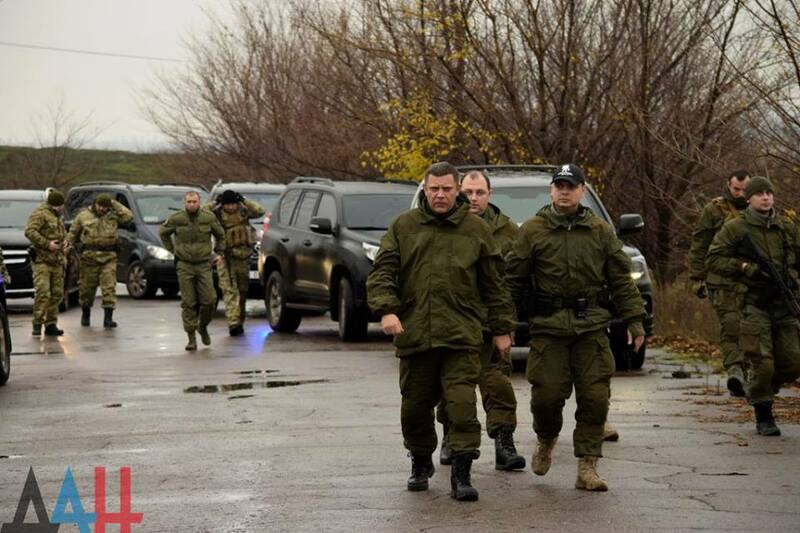 DPR Head Alexander Zakharchenko arrived. 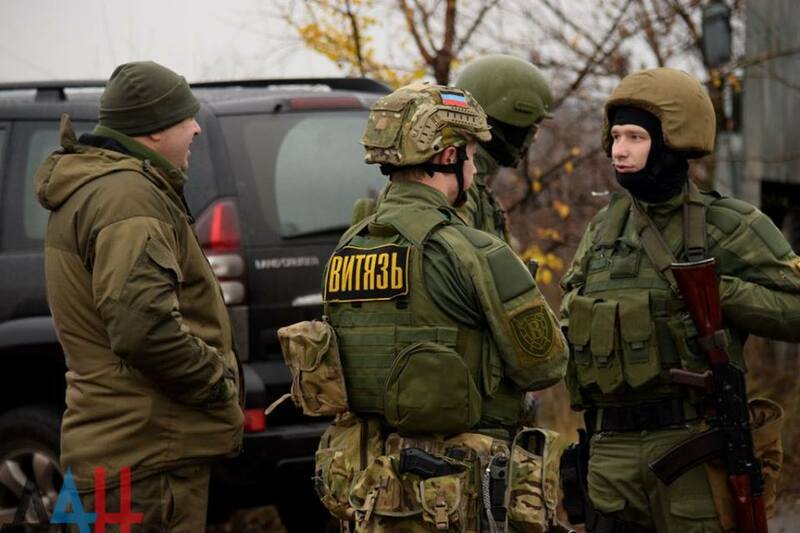 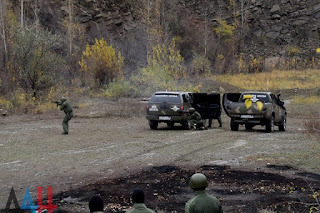 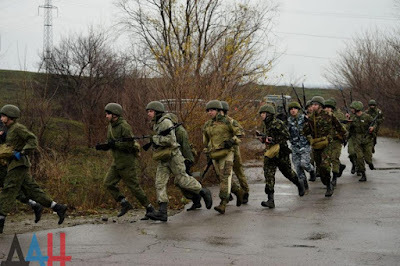 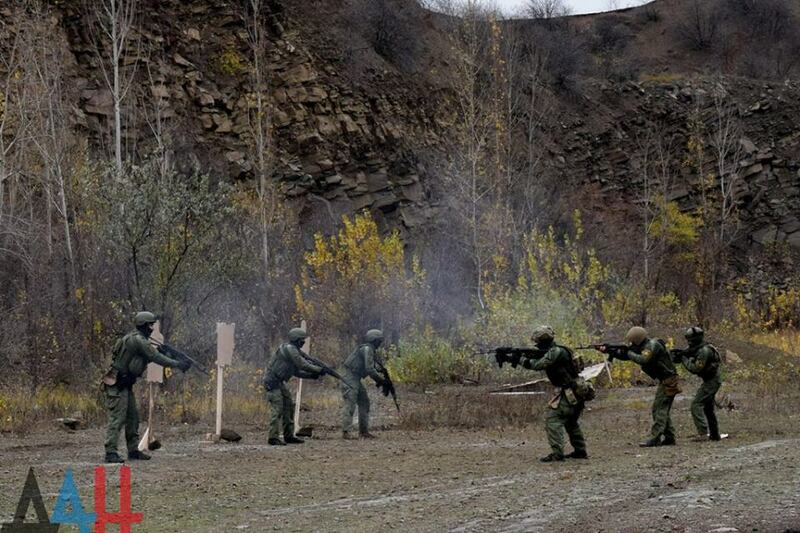 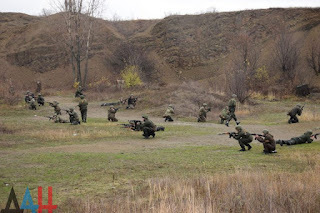 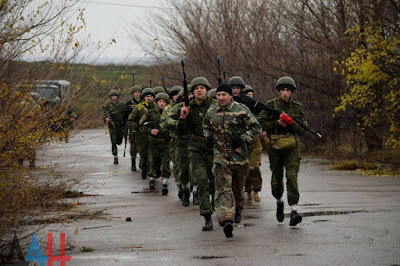 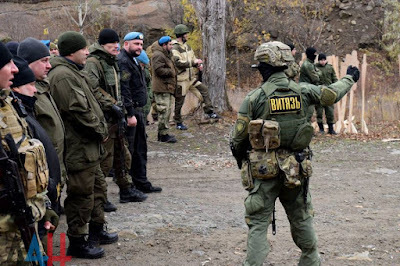 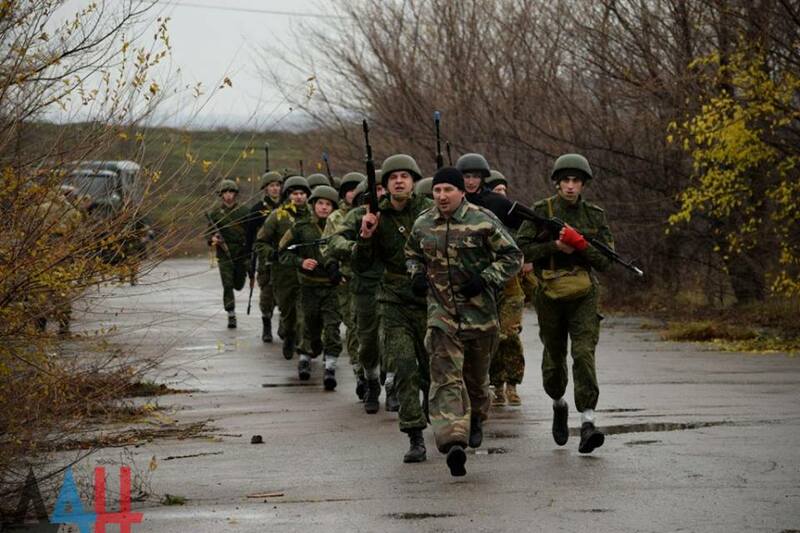 Qualification tests by the Donetsk spetsnaz: 26 officers, including a girl, pass them. DPR Head speaks to the female Spetsnaz fighter.